I joined recently, saying hi in the forum here. Most of my experience is Tae Kwon Do and Wing Chun. My instructor started teaching BJJ and I got some nice supplemental videos here. Welcome Akiravstetsuo! I think you have come to the right place Enjoy! 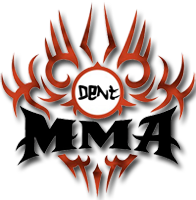 Im i new member here, but a old MMA fan, i use to do fighter and events highlights, im from brazil! Welcome brotha! Glad to have you with us! Enjoy! Enjoy the site, have fun, and don't forget to participate in the UFC FN 139 competition to make the fights more exiting! Hello! I'm new here, I come from Slovenia, you certainly do not know my country, but 100% you know my compatriot Uros Jurisic, who won the Titan FC in August 2018 and got a bid for performances in the UFC! Welcome to the site, enjoy the fights!! !